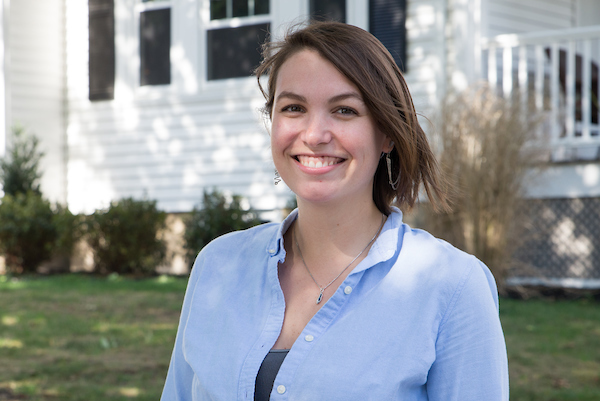 Bryn Gravitt began her tenure as interim director of the Women’s Center on Aug. 22 of this year, following the departure of former director Steph Gauchel in February for a position at the Harvard Divinity School. Gravitt will serve in her capacity until Feb. 2017, or until a long-term candidate is selected, she said. As a former graduate student assistant for the Women’s Center, Gravitt comes to the position with a keen understanding of the center’s inner workings, she said. After Gauchel left the position, Gravitt served as interim program coordinator before officially being named interim director. “When Steph left, [administrators in Student Affairs] needed somebody to step in who had familiar knowledge of the center,” she said. She explained that a nationwide search for a full-term director will commence shortly. “[The Office of Student Affairs is] going to…do a nationwide search which will be comprised of student committees, faculty [and] staff committees, so that will begin shortly, and then my position is up. Right now, we’re looking for someone to come in in February — so for the beginning of next semester — to occupy a more permanent position,” Gravitt said. The role of the director of the Women’s Center is to ensure that daily programming runs smoothly and that the center acts as a mouthpiece for students on issues related to gender and identity, according to Gravitt. On an administrative level, Gravitt said that she has ensured continuous dialogue about gender and identity related issues. Recently, she said that she has been involved in conversations about safe spaces in light of a letter released by the University of Chicago in August that was critical of safe spaces. “Most recently we’ve had a lot of conversations about what safe space means… in talking about instead of a safe space for people, leaning towards the language of intentional space and what that might look like,” Gravitt said. She continued by acknowledging that spaces may not always be safe for everyone, but that it is important to try to create spaces where students can come to feel supported and affirmed. Walae Hayek, the Women’s Center’s Tufts Community Union (TCU) Senate representative, said she has been working closely with Gravitt as an advocate for student issues and is seeking to build community relations, especially with the Group of Six. “I met with Bryn last week and I’m working to talk to her a little bit more about things we can improve on our relationship with the Group of Six and with the larger community so we can reach out, and we can be fixed [and] supportive of different things going on on campus … It’s all intersectional and we have to work on making sure that intersectionality thrives,” Hayek, a junior, said. According to Gravitt, the Women’s Center is currently making efforts to improve said relations through upcoming co-sponsored events and peer education workshops on gender and intentional spaces at Tufts. Gravitt added that she hopes to reach out to the larger Tufts community, especially faculty in the Women’s, Gender and Sexuality Studies Program and graduate students who she says are often untapped resources. Natasha Karunaratne, a student intern at the Women’s Center, was enthusiastic about Gravitt‘s appointment and optimistic about positive changes she could bring.